In 1942 the streets of London were blacked out at night to stop lights giving the German bombers an easy target. 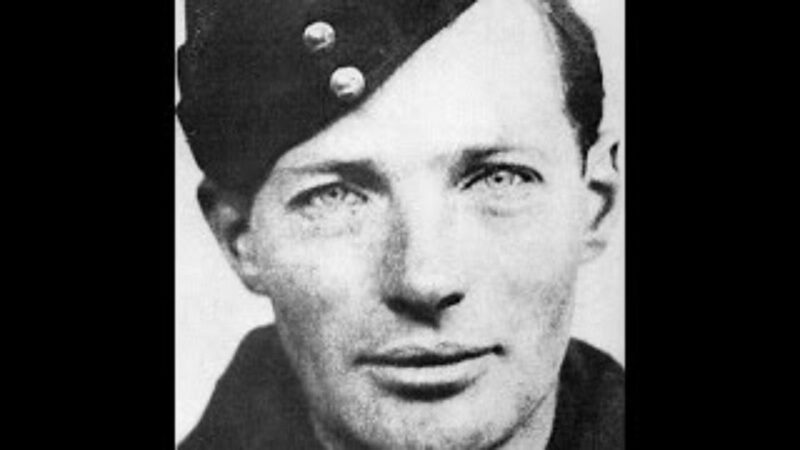 It was against his backdrop that 28-year-old RAF aircraftsman Gordon Frederick Cummins took to the streets and began a killing campaign. The first victim was 40-year-old chemist’s assistant Evelyn Hamilton whose body was found on 9 February 1942, in an air raid shelter in Montagu Place, Marylebone. She had been strangled and marks on her throat showed that her killer was left-handed. The next night Cummins murdered 35-year-old Evelyn Oatley (also known as Nita Ward), a former showgirl at the Windmill Theatre, at her flat on Wardour Street, Soho. Her throat was cut and she had been mutilated with a tin opener. More left-handed fingerprints were found. The third murder happened the next day, 11 February, when Margaret Florence “Pearl” Lowe, a 43-year-old prostitute, was killed in her flat on Gosfield Street, Marylebone. A silk stocking was tied around her neck and her body was mutilated with a razor blade, a knife and a candlestick. Pathologist Sir Bernard Spilsbury called her attacker “a savage sexual maniac”. A few hours later police found a fourth victim — 32-year-old Doris Jouannet (also known as Doris Robson), who had been killed in the two-room flat in Paddington she shared with her husband. Her naked body had been mutilated. On St Valentine’s Day 1942 Cummins attacked Greta Hayward in a doorway near Piccadilly Circus but was disturbed and fled. In his hurry he left his gas mask behind. Cummins then attacked another prostitute, Kathleen King, also known as Mrs Mulcahy, at her flat near Paddington Station. She fought back and Cummins fled, this time leaving behind his RAF uniform belt. The gas mask had the serial number 525987, which was traced to Cummins, who was arrested on 16 February. When his billet in St John’s Wood was searched, police found a number of items belonging to his victims. Gordon Cummins was tried at the Old Bailey on 27 April 1942 for the murder for Evelyn Hamilton. The trial was over in a day and the jury took just 30 minutes to return a verdict of guilty. Cummins was hanged at Wandsworth Prison, during an air raid, on 25 June 1942.